Best Pool Shock Treatments that Really Work: TOP 9 Choices! 9 Best Pool ShockTreatments that Really Work! Shocking your pool is a practice that you should add to your pool maintenance list. It is a process in which a chemical (could be chlorine or non-chlorine) is added to the pool water to destroy the growth of bacteria, algae, and other contaminants. Pool experts suggest you do pool shock once a week or once every fortnight. The more you use the pool, the more often you should do this maintenance routine. Aside from doing pool shock regularly, using the best pool shock treatment is also important. To help you in this process, we’ve listed 9 best pool chemicals that really work! Pool Essentials is a well-known brand that offers pool care products. 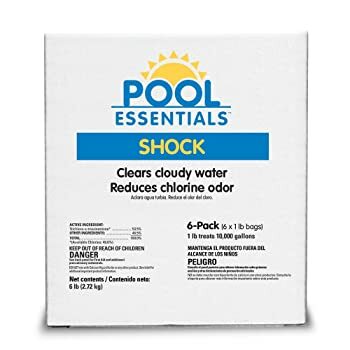 One of their best-selling products is this pack of 6 pool shock treatment. It’s an all-purpose pool shock treatment that is designed for easy application. This is in powder form. One pound of powder is good for 10,000 gallons of pool water. However, it has a tendency to stain vinyl pools. This is easy to dissolve. Dissolve in a small container first before adding it to the pool. Leisure Time is a brand that offers one-step pool sanitizers and shock treatments. 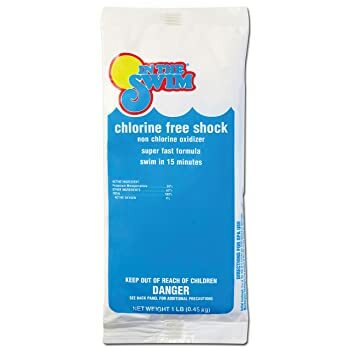 Their non-chlorine Renew spa shock is a lot of people’s favorite. You can order this one in either 1-pack, 2-pack, 4-pack, and 12-pack. This is safe and effective. Compatible with different purification systems, may it be chlorine, ozone, or bromine. It also prevents chlorine build-up, thus preventing pH fluctuations. Water remains clean and fresh even after 3 weeks of using the treatment. 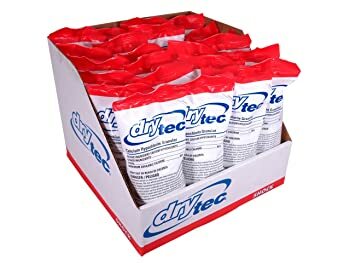 This fast-acting pool shock treatment by DryTec is well-loved by many. This pool shock contains 68% calcium hypochlorite, which is the main active ingredient used for water treatment. Thus, this treatment works wonders to your pool. This comes in an economical package of 24-packs. Each pack contains 1 lb. of recommended dosage, which is enough to shock 10,000 gallons of water. If you have a bigger pool and is very keen on keeping your pool water clean, then buying the most effective pool shock at a bigger tub makes sense. 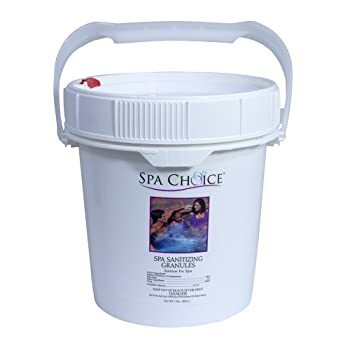 This shock treatment by SpaChoice is an all-purpose treatment that comes in a 5-pound tub packaging. It can be used to shock pools, spas, and hot tubs. This also helps stabilize the spa chlorine, making it one of the best options for spa shock. The higher the chlorine content of the product, the more efficient it is. 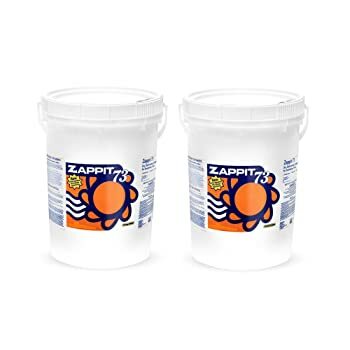 This pool shock chemical by Zapp It has an impressive 70% chlorine and 73% calcium hypochlorite. Therefore, a little definitely goes a long way for this one. Since it’s a highly concentrated product, make sure to use only the recommended dosage to avoid body rash and skin allergy. You can buy it in a 50-pound pack or in a 100-pound pack. You only need to use 1 pound to treat 40,000 gallons of water. In the Swim is not just a good brand for pool accessories and equipment. The brand also sells one of the best pool shocks on the market. This popular pool chemical comes in 24 pcs. 1-pound package. Users love this chemical because of its potassium monopersulfate content. Contains 38% Potassium, which is considered as one of the best non-chlorine water sanitizers. It’s a strong oxidant that works similarly like chlorine in terms of potency. Swimmers can use the pool 15 minutes after shocking the water. This formula is effective in preventing the growth of algae and killing water contaminants. Another excellent pool shock brand to consider is HTH. HTH pool shock treatment is known for their 4-in-one formula, which a lot of its users commend. Within 24-hours, you’ll notice that your water is more crisp, fresher, and cleaner. It’s also safe to use on pools with vinyl liners. Fast-acting treatment; you can see results within 24 hours. You can also use this in pools with a salt water system. You don’t have to worry about overstabilization, which makes chlorine less effective. 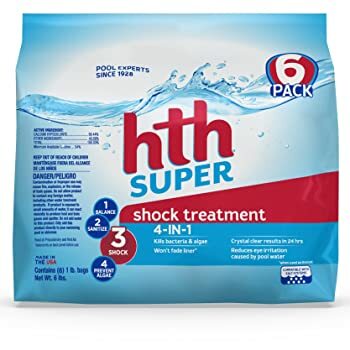 Another great pool shock treatment by HTH is this Super Select Shock Treatment. It’s a product that is specifically formulated to shock swimming pools. This is sold in 30-pack bundles and is favorite by many large pool owners. It’s a chlorine-based chemical, which contains 45% chlorine. In addition, it also has calcium hypochlorite at 40 to 55 percent. If you own a huge pool and like to pool shock regularly, this is a great treatment to invest in. This works in almost all types of pool. This also targets and kills fungi. You can use this to shock spas and hot tubs too. 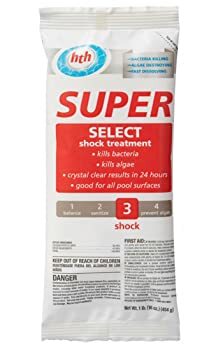 If you are quite hesitant to try pool shock products manufactured outside the country, then NAVA pool shock treatment is a product worth trying. 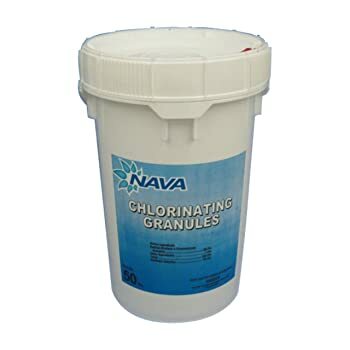 This is a chlorinating formula, which means it contains chlorine as its primary active ingredient. NAVA is a U.S.A made pool shock chemical that can magically transform the quality of your pool water. Pool shock helps maintain the chemistry of your pool water. Without lowering the water’s pH level, the best pool shock should be able to raise the chlorine level of the water to rid the pool of contaminants. This is a process known to sanitize the pool, making it fresh, crisp, and clean. Now that you know the importance of pool shock, it’s time to buy the best treatment and get started!